For those of you who are looking forward to invest in a business with low start up cost, Baskin Robbins is the perfect option. It is not only a popular brand but also earns good profits and is well appreciated for all its flavours in India. An ice cream parlour is a profitable business in India because the climate is hot in most of the places. You will find all the information regarding opening a Baskin Robbins franchise in the following article. Is Baskin Robbins Ice cream parlour a profitable franchise? Baskin Robbins is a very popular ice cream brand and parlour. This ice cream chain has been widely appreciated by people of all age groups. It is owned by a very reputed company i.e. Graviss Foods Pvt Ltd. It was first launched in India in the year 1993 in Mumbai. Baskin Robbins has more than 5600 units all over the globe and more than 500 ice cream parlours in India. You will find a Baskin Robbins parlour in every market, mall and popular areas of public attractions. It is one of the leading ice cream brands in India. There are 3 ways of starting a Baskin Robbins ice cream franchise depending upon the space you have and the amount you can invest. The total investment required to open this franchise is between 10 to 19 lakh rupees. There are three kinds of packages given below each having a different requirement. Baskin Robbins Ice Cream Kiosk franchise: the investment required for this franchise is 10 lakh rupees. The minimum area requirement in this package is 112 square feet with a 12 to 14 square feet frontage. Baskin Robbins Ice Cream longue franchise: this franchise requires an investment of around 19 lakhs. The minimum area requirement for this franchise is about 500 square feet with 15 square feet frontage. Baskin Robbins is a highly profitable franchise and the investment required is not very high. 3 years is the estimated time for getting returns on the investment. This is the time for the Kiosk parlour and is less for the ice cream lounge. These statistics are also dependent on factors like location of the franchise and the city. For starting a Baskin Robbins Ice Cream franchise you can apply online at the official website of Baskin Robbins by filling a form available at http://www.baskinrobbinsindia.com/getyourownstore.html. Once you have filled the form you will have to wait for the company to contact you. For queries you can contact the corporate office in Mumbai or send mail. 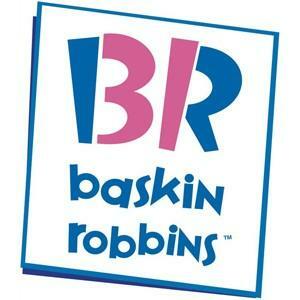 Baskin Robbins ice cream factory is licated at Pimpri Chinchwad Industrial area, Bhosadi, Pune. Regional offices of Baskin Robbins are also in Noida, Bangalore and Pune. The complete address is provided below.